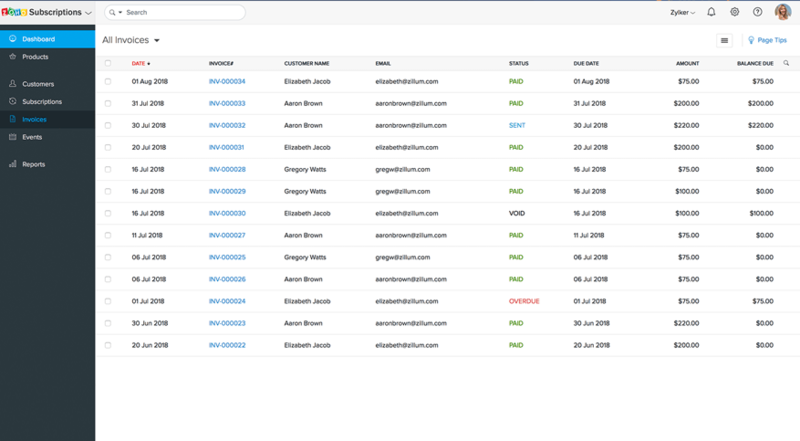 Zoho Subscriptions automates your recurring billing and charges your customers after every billing cycle for you. 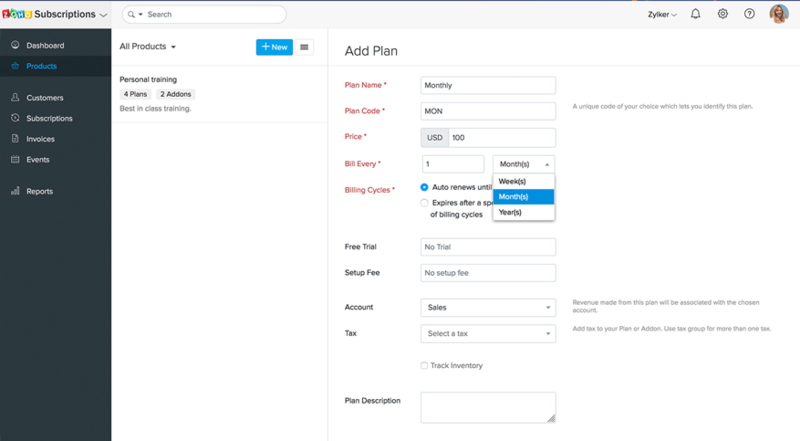 Set up billing frequencies, and cycles for your product or service, and then cool off. 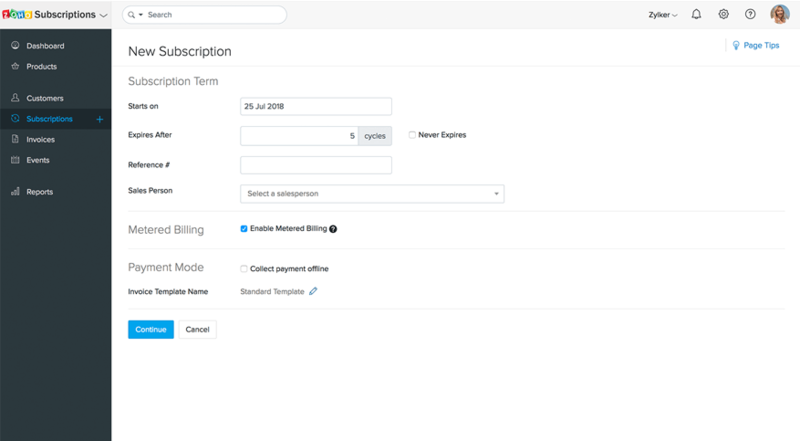 Zoho Subscriptions will automate your recurring billing and based on the billing frequency sends out professional-looking invoices before due dates, so you don't have to. 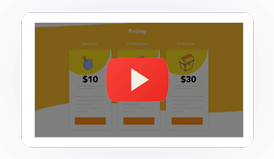 Personalize invoices to showcase your business' identity. 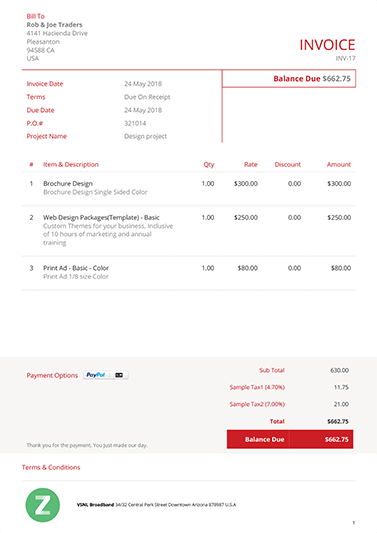 With multiple customizable invoice templates, you can modify them to suit your exact needs. 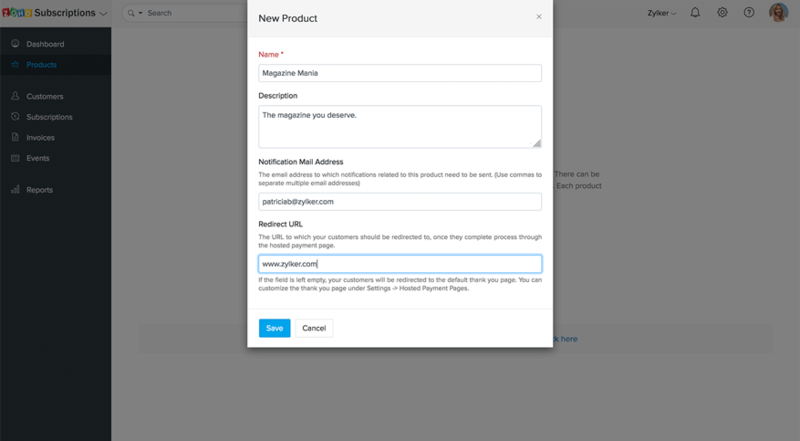 You can add your company's logo, set a background image and customize the template to a T. You can also capture more information with the help of custom fields. 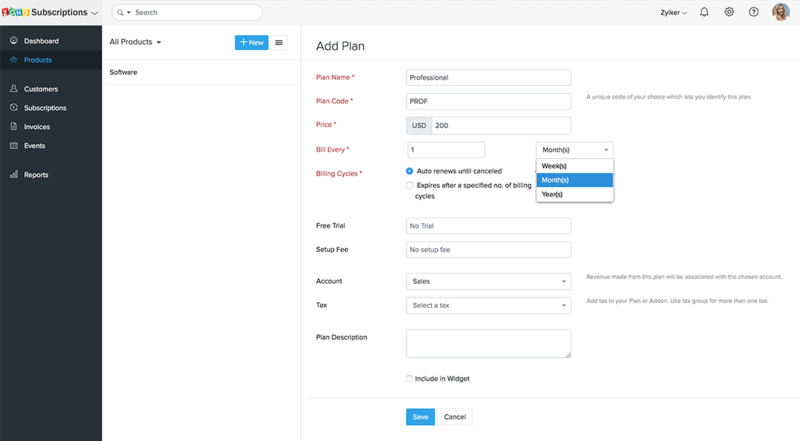 No more sweating over manual calculations for subscription upgrades or downgrades. 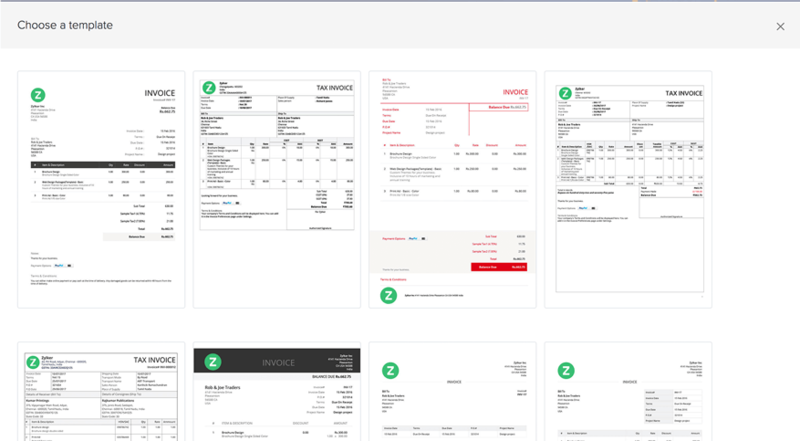 Zoho Subscriptions automates proration and bills clients based on their prorated usage. As you scale your business, its likely you'll be billing customers across borders. 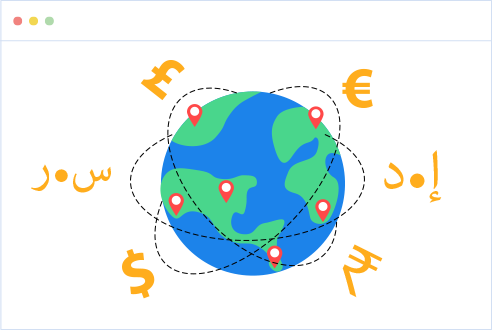 Along with a Global edition, Zoho Subscriptions' has dedicated editions for the US, UK, Canada, Australia, India, the UAE, and Saudi Arabia, so you can stay tax-compliant, anywhere on the globe. 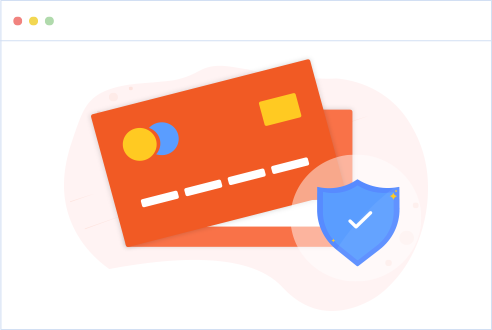 Zoho Subscriptions is a PCI-compliant recurring billing platform. So you can rest assured that your customers' credit card information is handled in a safe and secure manner. 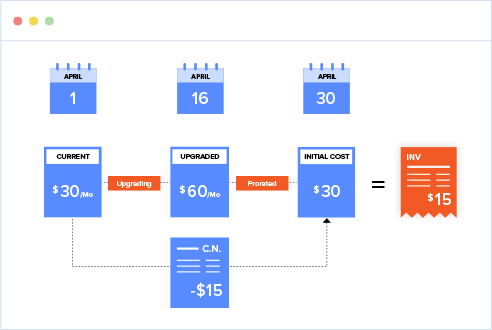 Zoho Subscriptions – Software built to reinvent your recurring billing.